Animal Crossing: New Leaf (ACNL) for the Nintendo 3DS is still captivating the minds of gamers everywhere, despite its release a few years ago. It’s a delightful game and a wonderful introduction to those who have never played the Animal Crossing series. I knew about the franchise and even remember the TV commercials for the original game, but I didn’t know if I’d like the life simulation genre, so I ended up skipping the first three. But when ACNL started to receive glowing reviews from multiple publications, as well as from my gamer friends, I finally caved in and decided to give the title a spin. Little did I know that it would encourage me, and others, to make positive changes and thoughts in my daily life from the following themes. One of ACNL's biggest messages is to slow down, instead of rushing and going through the busyness of life. The game actually penalizes you for running by causing your character to trip, killing flowers and grass, and scaring off valuable bugs and fish. American society strongly emphasizes fast-paced environments; this game capitalizes on slowing down and enjoying what life has to offer. This is something many people struggle with, even in the context of the game, but it provides an important perspective and a chance to mindfully practice this every day. Get a head start to designing homes. This game provides an excellent opportunity in customizing your home. You’re the designer of your house and have access to a wide net of options for how you want it to look like, both for the interior and exterior. 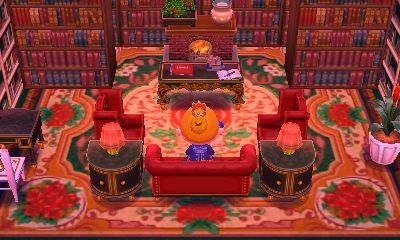 This is great for those already dreaming of their own place and ACNL can answer a lot of your questions: How do you want your future home or apartment to look like? How big do you want your space to be? What’s your style or theme? Can you budget for it and pay the loans back? Take care of your town to maintain cleanliness. 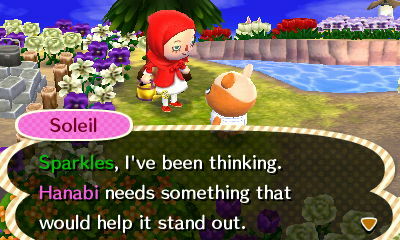 While it may not be possible to play ACNL every day, it rewards you for not letting your town get out of hand. Much like your own home, it’s important to check on the town frequently and clean it out, including pulling weeds and watering flowers. A wonderful feature is the ability to build “Public Works Projects” to beautify your town. You can increase your town rating by building "green" projects such as solar panels and wind turbines. However, some non-eco-friendly projects, like drilling rigs, actually penalize your town rating. Even in a video game, your actions and decisions on the environment have consequences. Interact with and listen to your neighbors about their concerns and wants. The core of ACNL comes from interacting with the townsfolk. As mayor, you have the power to make their day a little brighter. You can accomplish this in many ways, such as giving them gifts, inviting them over to visit and visiting them, playing games with them, and talking with them about their lives and concerns. They feel more appreciated when you engage with them, even if it’s just once a day. Budget your money and find ways to make it work for you. Ah, money. A stingy topic for plenty of people, and there’s even more reason to be adverse to it: Tom Nook. His loans don’t come cheap, so you’ll have to scrounge up all the money you can get to escape from debt. This means selling what you don’t need, buying the essentials, finding money from rocks, getting a part-time job, and starting a savings account that rewards you with interest every month. By being consistent, your hard work will pay off (pun intended) and you’ll get to see the fruits of your labor in time. Celebrate all accomplishments, no matter how big or small. You don’t need to only celebrate the major accomplishments in life. The small things in life can have the biggest rewards as well. Whether it’s planting a tree or completing a town project, it’s important to share that happiness and sense of accomplishment and celebrate with those you love and appreciate. You’re always learning; life is an ongoing process, so make sure to have fun along the way!